R.C. Torre Plumbing & Heating, LLC Commercial & Residential – R.C. Torre Construction Corp. Inc. Established in 2007, our fully-licensed and -insured plumbing and heating division, R.C. 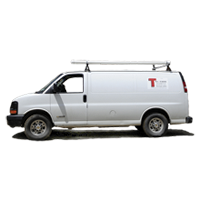 Torre Plumbing & Heating, LLC, provides exceptional value to our clients by offering reliable, professional, expert services, in addition to specialties such as radiant heat and custom-boiler installations. Our dedicated staff of full-time, licensed plumbers is available for service calls 24 hours a day, seven days a week, bringing the highest-quality plumbing, heating and air conditioning services to the Westchester/Fairfield area. R.C. Torre Plumbing & Heating shares the R.C. Torre core values, balancing the delivery of top-tier services with the development and maintenance of long-term client relationships.